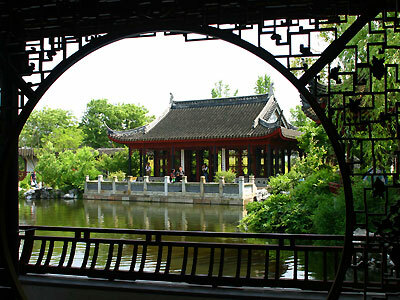 The Chinese garden architecture is one of the four essential factors for garden landscaping. The garden architectures should satisfy the requirements both for practical purposes and for landscaping the garden. They should blend with the environment within the garden and the natural environment, either as a central scenic spot or as an individual small scenic spot easy to access. 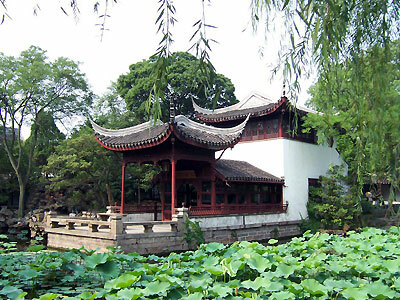 One of outstanding characteristics of Chinese garden architectures is taking advantage of the environmentso that the natural scenes and human interest could be merged. 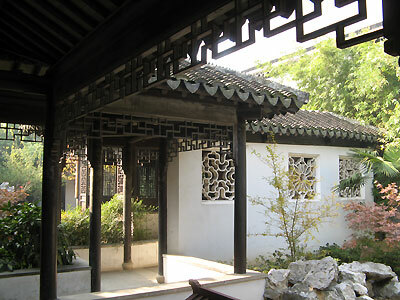 The classic garden architectures are often embellished with calligraphy of poems and with paintings. They shun symmetry along an axis and adopt an irregular and complicated layout with plenty of large and small spaces. The appearance of a garden building should be aesthetic and expressive, and enhance the beauty of the surroundings. In its details, exquisite decorative means should be made use of, such as pretty guardrails, patterned windows, grilles, etc. A garden building is a place for viewing the scenery within or beyond the garden and is a key point of the garden. So both the direction of the building and the positions of its doors and windows should take into consideration the viewing angles and the routes. 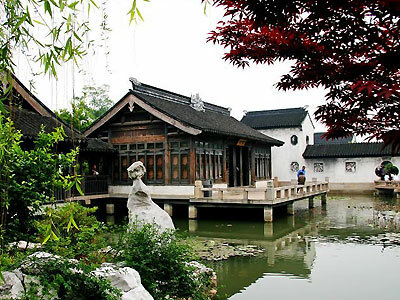 Famous Chinese garden architectures include Chengde Mountain Estate, Yuanmingyuan Garden, Lingering Garden in Suzhou, etc.